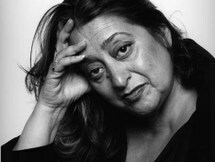 Zaha Hadid was an Iraqui British architect (31 October 1950 - 31 March 2016). She received a degree in mathematics from the American University of Beirut before moving to study at the Architectural Association School of Architecture in London. 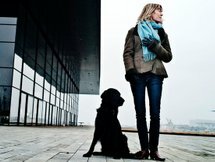 After graduating she worked with her former..
Dorte Mandrup-Poulsen (born July 26th, 1961) is a Danish architect, founder and owner of the architectural practice Dorte Mandrup Arkitekter which is based in Copenhagen, Denmark. 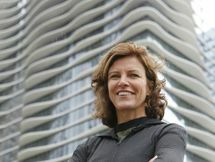 She graduated from the Aarhus School of Architecture in 1991. 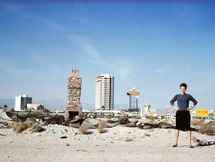 From 1991 to 1992 she studied sculpture and ceramics..
Denise Scott Brown, (born Lakofski; born October 3rd, 1931) is an architect, planner, writer, educator, and principal of the firm Venturi, Scott Brown and Associates in Philadelphia. 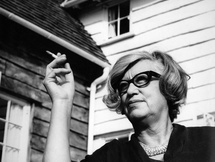 Denise Scott Brown and her husband and partner, Robert Venturi, are regarded among the most influential architects..
Dame Jane Drew (March 24th 1911 – July 27th 1996) was an English modernist architect and town planner who worked both in the United Kingdom as well as Africa and India. She received her qualifications at the AA School in London. Shortly after her studies she became involved in the Modern..
Margarete Schütte-Lihotzky (January 23, 1897 – January 18, 2000) was the first female Austrian architect and an activist in the Nazi resistance movement. 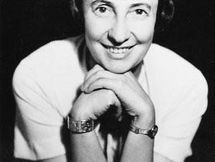 She is mostly remembered today for designing the so-called Frankfurt Kitchen. 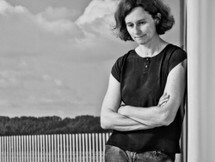 She was born Margarete Lihotzky into a..
Lene Tranberg was born in Copenhagen in 1956. In 1977, she was admitted to the Royal Danish Academy of Fine Arts, School of Architecture where she studied under Erik Christian Sørensen. In 1983, one year before graduating, she co-founded Lundgaard & Tranberg with Boje Lundgaard. 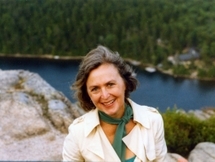 The firm..
Anne Griswold Tyng (July 14, 1920 – December 27, 2011) was an architect, theorist and academic. She is best known for having collaborated with Louis Kahn at his practice in Philadelphia. She served as a professor at the University of Pennsylvania for 27 years, following 29 years of collaboration..
Lilly Reich (June 16th 1885 – December 14th 1947) was a German modernist designer. She was a close collaborator of Ludwig Mies van der Rohe. Lilly Reich was born in Berlin. 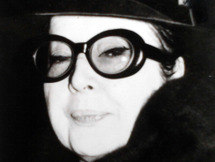 Her career started as a designer of textiles and women's clothes. 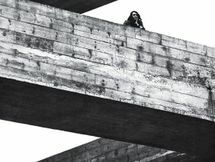 This experience was to be formative for her - giving her a..
Lina Bo Bardi (December 5th 1914 - March 20th 1992) was an incredibly prolific architect and designer who devoted her working life, most of it spent in Brazil, to promoting the social and cultural potential of architecture and design. Bardi was born in Rome and educated at Rome University's..
Lu Wenyu is a Chinese architect ho co-founded Amateur Architecture Studio with her husband, Wang Shu in 2007. Based in Hangzou, China. The studio focuses on craft-based and traditional architecture practices which is implied through their name. In 2010, Lu Wenyu and Wang Shu won the German..
Maruša Zorec has been an independent architect since 1992; she is also assistant professor at the Faculty of Architecture in Ljubljana. 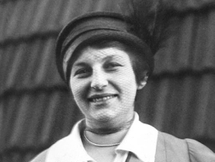 She was for several years assistant to Vojteh Ravnikar, who influenced her way of working and perceiving architecture. Furthermore she admires the work of..
Maša Živec finished her studies of architecture at the Faculty of Architecture in Ljubljana. 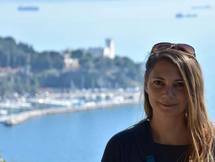 In 2015-16 she studied at the E-Capital Start up school for cultural tourism in Ancona, Italy. From 2001 to 2007 she collaborated with Maruša Zorec. She was awarded by the Prešeren for architecture in..
Lena Studied architecture at Architectural faculty in Ljubljana from 1995 to 2001. Together with her housband Tomaž Krušec she founded architectural office »Arhitektura Krušec« in Ljubljana in 2002. Alena Šrámková (born 20th June 1929 in Prague ) is a Czech architect referred to as first lady Czech architecture, author and co-author of a number of significant buildings in the style of postmodernism (CKD building on Wenceslas Square, Central Station concourse in Prague Meteorological station..
Věra Machoninová was a Czech architect. 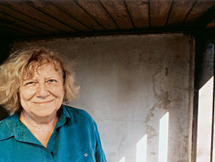 She designed most of her buildings with her husband, Vladimír Machonin. 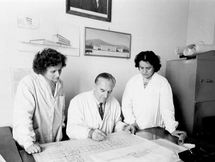 The Machonins were part of the strong generation that began creating at the time of the waning historicism of Socialist Realism, and which from the mid 1950s was establishing..
Eliza Hoxha works at the University of Prishtina / Faculty of Civil Engineering and Architecture / Department or Urbanism and Spatial Planning while also parallel to that she practices her profession as a freelancer. 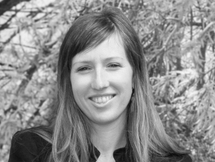 Currently she is a PHD – cand at TU-Graz, Austria. Here work experience is.. This song is just one of the components of a multimedia project/exhibition (installation, performance, music, video) dedicated to sexually abused women from the last war in Kosovo 1999. The song and the whole project focuses and treats silence as the only condition of these women living in..
Valentina Pistoli was born in Korca in 1928. 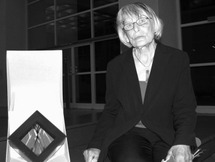 She was educated in architecture in Sofia University, Bulgaria were she graduated in 1952. 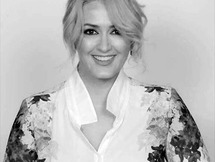 Valentina is the first woman architect in Albania. During her career as architect she has designed several residential complexes in Korca, Vlora, Elbasan,..
Svetlana Kana Radević was the first woman architect in Montenegro. She graduated from the Faculty of Architecture Belgrade and obtained a master's degree at the University of Pennsylvania. She continued her studies in Japan, which strongly influenced her later work. She was a full member of..